And We Will Sell Yours For FREE! We'll Sell It For FREE! Or, We'll Pay You The Difference! You Can Cancel Your Listing With Us At Any Time If Your Not Satisfied With The Service We Provide! "Words cannot describe how lucky and blessed we were to work with Gina Roquet. I would highly recommend her to everyone. We are first time buyers and were guided the whole way through this crazy process with such care and professionalism. We are so new to all this and are small beans but she never made us feel this way. Gina understood the importance of getting us our first house and followed up on ALL angles possible to ensure that we would be able to attain our new home. She not only got us our dream home, but she made the process seem like a piece of cake. She kept us informed, educated us on the process, and continues to follow up with us. I can't thank her enough. I give Gina Roquet five stars. She gives 110%. She is all about integrity and excellence. Extremely detailed and patient and on top of all this, she is such a kind soul. I really can't imagine getting any better service than this. If you want to be part of a winning team, you can with Gina. Job well done Gina keep up the great work!! She is undeniably the BEST at what she does god bless her for all her hard working effort. :)"
I have worked with Mrs. Bare previously and found that she was honest and highly motivated, qualities that are important to me. Suzanne has done an excellant job in selling my house and I intend to use her in any future sales or purchases. She is truly a please to work with. Mrs. Bare stayed on top of the sales process until escrow closed, and kept me informed every step of the way. Suzanne is the standard by which all real estate agents should take note. I would not consider using any other real estate agent other than Suzanne. 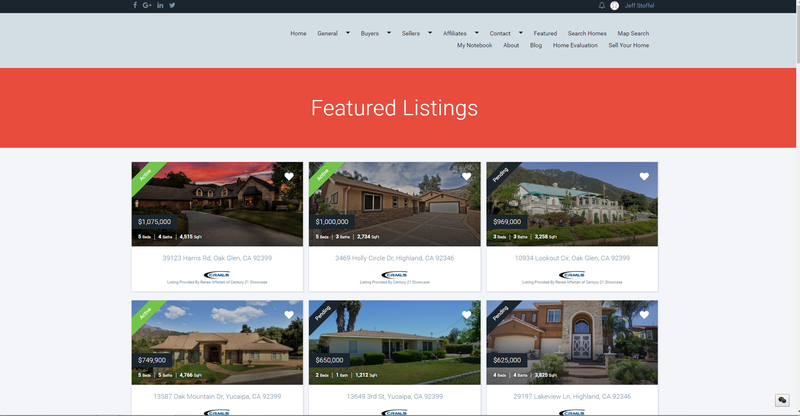 It is the mission of CENTURY 21 Showcase and it's associates to provide the highest quality, innovative, and exceptional real estate service available anywhere in the Southern California and Inland Empire area. Our clients' needs always come first. We will strive to always provide value far in excess of our clients' expectations. Our goal is mutual respect and long term relationships that are beneficial to all parties. Our operation is a great place to work and do business. We are positive, helpful, and enthusiastic at all times· always focusing on solutions, not challenges. We take care of business first and foremost, we have fun and enjoy ourselves in the process. Services - Represent Both Buyers and Sellers Resales, Default Property, Investment Property, Multi-Family, Luxury Property In sports, the "go-to-guy" is the one the team counts on to make the winning shot. When you team up with REALTOR® Michael Stoffel, he'll be your "go-to-guy" you will depend on to make things happen for you. With a wealth of knowledge in all aspects of real estate-from property management to real estate finance-Michael is the expert who will find a way to get it done for you. Whether he's helping you find your dream home, creating effective marketing plans to get your home sold quickly and for top dollar or helping you with your home loan needs, Michael will be there for you every step of the way. He's Your "Go-To-Guy" in Real Estate. Call or text Michael today at 951-906-3800 / 1-949-427-0021 or email him at MichaelStoffel@Century21.com FREE Mobile Real Estate App: http://mobile.smarteragent.com/c21/michaelstoffel FREE Quick Online Home Evaluation What is Your Home Worth? Find Out Now and Get the Facts Without the Pressure. Professional Experience President-Elect for Inland Valleys Association of REALTORS (IVAR) Board of Directors, CALIFORNIA ASSOCIATION OF REALTORS® Chair , Local Candidate Recommendation Committee (LCRC) for Inland Valleys Association of REALTORS (IVAR) City Of Highland Planning Commissioner Professional Affiliations. Connected to the Community and to you… Rick and Diana’s shared dedication to home and community defines both their personal and their professional lives. In fact the Varner's have been one of the Inland Empire’s leading real estate teams for over 25 years. They have become an incredible resource and decisive advantage for residents buying or selling a home. They understand that each family is different and take the time to establish a close working relationship with their clients during this important time in their lives. Eighty percent of their on going business comes from repeat clients and those who continually refer their family, friends and co-workers. As active residents of the Inland Empire, Rick and Diana are intimately connected with the community. They share this knowledge with their clients, ensuring they make educated, informed decisions throughout their important move. But what truly sets this powerful team apart is their talent for making connections with people and getting in tune with their unique needs. So when it comes time to buy or sell your home, make sure Rick and Diana are on your side. They are connected to the community and committed to your best intentions. ? I have worked at Century 21 Showcase as a professional Realtor for over 20 years. I have been, and will continue to be, completely committed to serving my clients with the utmost integrity and dedication. I genuinely care about my clients and their dreams of home ownership. I am also a Certified Distressed Property Expert which allows me to assist you with your short sale needs in the most efficient and timely manner with the least amount of stress possible. This is more than a job to me as I am blessed to have the joy of helping people everyday. 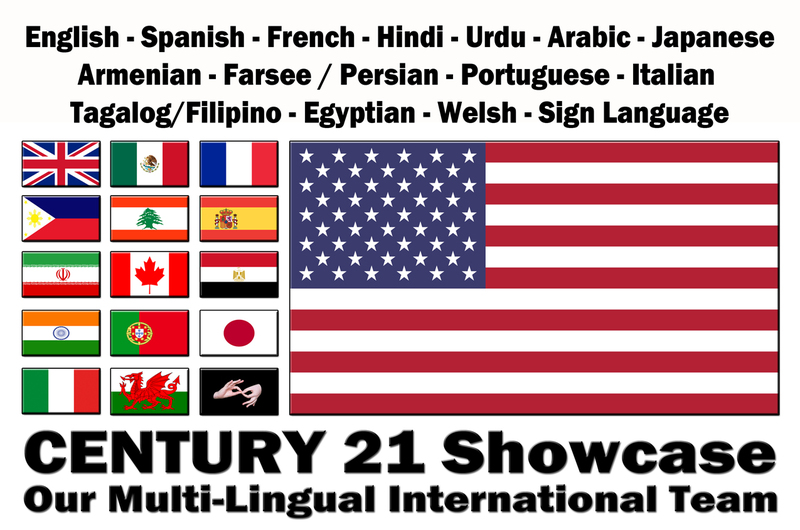 In June of 2008 I joined the team of Agents at Century 21 Showcase. I earned my Marketing & Public Relation s degree from Cal Poly Pomona in 1984. I am a life long resident of this Inland Empire– primarily having lived here in Highland for 30 + years. I have worked with an equal amount of buyers and sellers, with homes ranging from $100k Investment purchases to a million + residential purchase. I have the knowledge , understanding and experience of working on both sides of the transaction, which is vital to getting transactions closed with mutually satisfied parties. I’m on task, readily available and a straight shooter. I offer no gimmicks , just straight forward real information on how to accomplish your real estate goal. 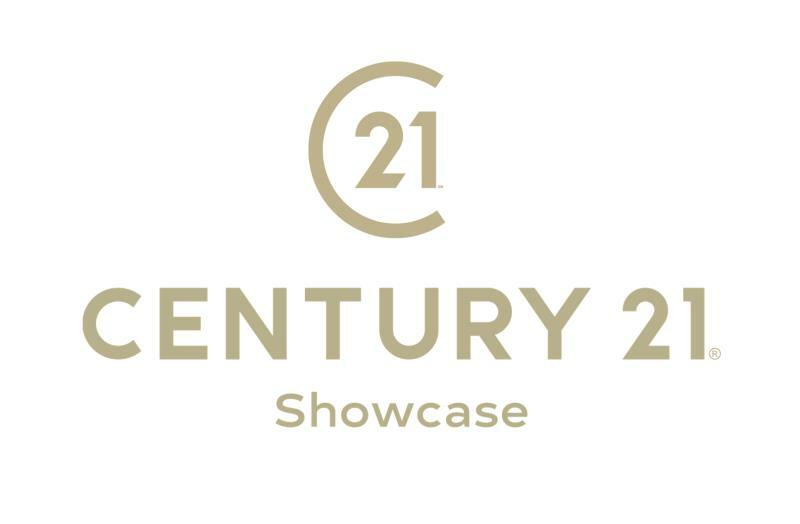 I strongly believe it has been my marketing and communication skills that have propelled me to consistently hold one of the top agent spots at Century 21 Showcase. I believe in excellent service and prompt communication. I personally handle all the details of my transactions and have never had a listing not sell nor a buyer not close on their escrow. I have a strong sphere of influence in the community and have been blessed with many wonderful referrals & testimonials and have built an even stronger referral base from past clients who continue to send me new business. I truly enjoy this business, care about people, and enjoy the many rewards of a job well done. My thankfulness to God, love of my family and my genuine concern for all whom I work with, is what Inspires me every day. Dave Patty has 31 years of real estate experience and has been in the 'Top 10 Realtor's' for the past 5 years here at CENTURY 21® Showcase. His knowledge of all aspects of real estate including but not limited to Residential, Commercial and Investment properties make him one of the top in his field. Dave has lived in the Inland Empire for over 45 years and has sold properties in most areas of Southern California. If you need an experienced Agent, give Dave a call. Your Neighborhood Expert There are many real estate agents you could choose to work with - but very few that have lived in the Inland Empire their entire life, still live in the Inland Empire with my lovely Wife and 4 Daughters, and have the track record of success that I've generated over the last 20 years. Whether it's marketing homes that don't show well, negotiating the best deal, or tracking down the right house for a choosy client, I've proven that I'm able to not only meet but exceed expectations every time. With great experience as a Redlands Realtor and servicing all areas in Riverside County, I help both buyers and sellers meet their real estate objectives. I have extensive knowledge of each of the communities located in and around Redlands, and I will work tirelessly on your behalf to make your next Yucaipa home buying or San Bernardino home selling experience a pleasant and successful one. For sellers, it is my commitment to help sell your home or property in a timely fashion while helping you attain the highest possible price for your real estate. If you are interested in receiving a free home valuation, I encourage you to fill out my free home valuation form. For buyers looking for homes or other real estate opportunities here in Redlands or other surrounding communities, I will work with you to find your ideal home. I will provide you with all of the necessary tools for finding the right property. From free access to search almost all Riverside County area homes, to the ability to fill out My Dream Home Finder Form, everything I can possibly provide will be at your service. In addition, once we've narrowed down what you are looking for, we can begin the home showing process so you can get a closer look at the homes that should be a good fit. I help negotiate the best possible deal for my clients with each and every real estate transaction. Nothing satisfies me more than seeing the smiles that come with a successful real estate transaction. Thanks again for considering me as your Realtor. We are focused on providing you with the best results and service in the industry. We listen carefully to understand your real estate goals and work hard to create solutions that make sense for you. Whether you are new to the market or an experienced investor, we have the expertise, proven track record, and resources to help you achieve your real estate goals. As is often said, real estate is about location, location, location. We have extensive knowledge of the HIGHLAND, CA area and can help you find the right home for you or the right buyer for your home. Born and raised in San Costa Rica, Haydee feels as if she has had best of both worlds, under half of her life she had the opportunity to study and learn from the Hispanic Culture, attending UCR Universidad de Costa Rica, she soon found her knowledge would help her in dealing with clients around the world. She then found a passion for Real Estate working at First American Title, in Customer Service, Searching department and Commercial Escrow was just not enough. Haydee wanted to make a difference in her life of others and also figure out a way to raise the two loves of her life at the time Abby and Amanda. She then joined the Century 21 Showcase family and is now a proud mother of 3 girls and proud wife of Kirk Stoffel, who is her partner in life but also in business. Haydee is focused 100% in God, her family and her love of her life, her passion for Real Estate has allowed her to meet, help and have friends for life. Haydee considers her clients family, she loves what she does and it shows. Haydee is blessed to have an amazing opportunity to make money doing what she loves, helping others. Today, Haydee is one of the top producers at Century 21 Showcase and continues to make a difference in her community doing what she loves to do, helping Buyers, Sellers and Home Owners in Foreclosure. Call Haydee today! And get yourself a step closer to your real estate goals.